DALLAS, TX — (July 29, 2014) — Mohr Partners announces that Robert “Bob” Shibuya has joined the company as President responsible for the firm’s real estate service business globally which encompasses transaction advisory, portfolio/lease administration, project management and corporate finance/disposition services to corporate and government sector clients. Mr. Shibuya will report directly to Bob Mohr, Chairman, CEO and Founder of Mohr Partners, and be charged with significantly expanding Mohr Partners’ platform in the Americas as well as refining the firm’s international delivery model to satisfy the firm’s growing number of occupier clients seeking an integrated global real estate solution. Mr. Shibuya, a 31-year commercial real estate veteran, has a well-established track record of helping property service firms grow and develop through broker recruitment, corporate development and superior client service delivery, having served in executive roles for CBRE, Trammell Crow, Cushman & Wakefield and most recently DTZ. 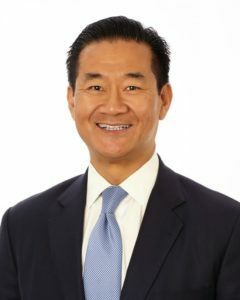 Mr. Shibuya succeeds Ted Fredericks, Mohr Partners’ long-serving President. Mr. Fredericks will continue to serve as President Emeritus.